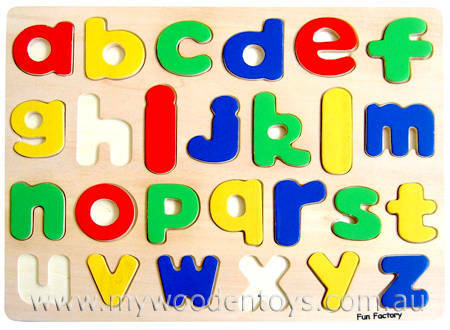 Wooden Lower Case Alphabet Puzzle is a very simple educational puzzle featuring that tricky alphabet to arrange and learn. Nice bright colours red, green, yellow and blue make this an attractive toy to play with. The pieces are also a nice size for small fingers and fit easily into the puzzle board. We like this because: "Nice and simple and such a useful educational aid"